I used to be like you. Why should I air my dirty laundry? Why should other people hear about my problems? What if my friends all think I’m weird if they know my brain is broken? I had those same fears. After being hospitalized four times I wondered if I had any friends left. My anxiety and paranoia made it a struggle to leave the house. I figured I probably wasn’t missed. Life was good before mental illness invaded my world. Going from being the leading recruiter of an agency where I was making six figures at the age of twenty-six to being taken out of my home strapped down to a stretcher and later placed in a mental hospital was demoralizing. My reputation was shot to hell, or at least it felt like it. I had no idea how I was going to pick up the pieces of my life that were scattered all over the floor. 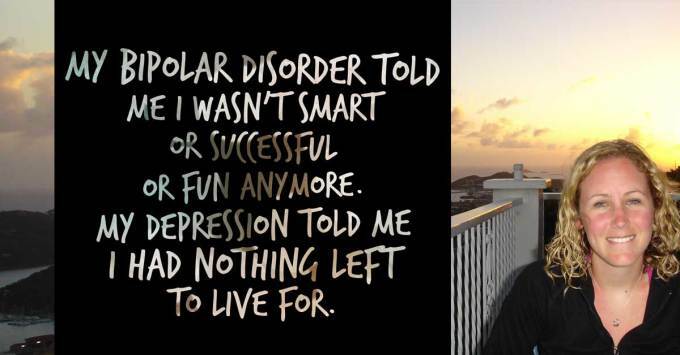 My bipolar disorder told me I wasn’t smart or successful or fun anymore. My anxiety tickled my limbs until I curled up in the fetal position only I wasn’t crying from laughter. My depression told me I had nothing left to live for. It shot vivid images into my subconscious and I couldn’t shut them out. Somehow I realized, in the midst of these conversations with the afflictions in my brain, that this was all happening to me for a reason. My pride screamed, “You don’t want to become a statistic!” while a tiny voice stirred a passion deep inside me to share my story. I wanted to be known for what I created because of what happened to me. I wanted to make a comeback, and desperately needed it to count for something. So in August of 2011, I set out on an adventure with no idea where it would lead. My most recent hospitalization for mania was sixteen months in my rearview. Looking back now I can easily see how those early weeks of writing pushed me into hypomania. But like the good role model I was trying to portray, I nipped it in the bud by easing up on my obsession with my new blog. Eagerness oozed out of my fingertips as they tapped the keyboard. I polled my family and husband to get their permission to put my real name on the blog after writing anonymously for a week or two. My mom thought the moms at my son’s preschool might not let him have friends over for playdates if they knew of my illness. Her words stung, but I knew there was a possibility she was right. My dad agreed. My husband was more sympathetic, gently encouraging me to keep writing, but still without my name attached to it. I asked my psychiatrist and therapist to each weigh in, figuring they both see plenty of patients and have a ton of experience, they’d both have good insight. I even asked a few of my close friends what they thought. They all advised against disclosure. The stigma is too great, they said. I could still share my story anonymously, it was still good to share. People would still find my words. By telling me to keep my story private online, they were also telling me to abstain from talking about my illness in real life. Sweep those shards of my past under the rug. No one needs to know about them. We both know they were wrong. My gut told me I needed to put my heart out there. That I needed to demonstrate — to those who found my work and to myself — that I was bigger than stigma. Hiding behind the mask of a pen name and ambiguous photos made me look and feel like a coward. 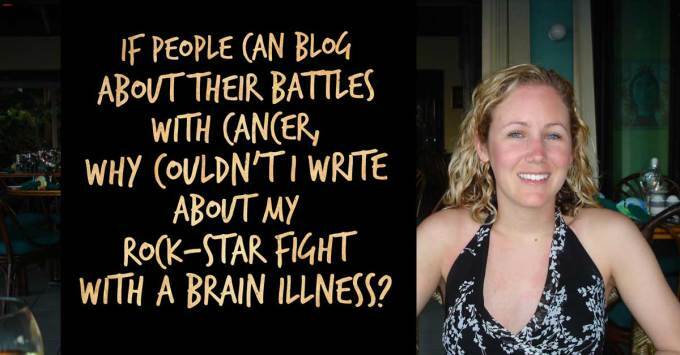 If people can blog about their battles with cancer, why couldn’t I write about my rock-star fight with a brain illness? I had my lime green boxing gloves on and wanted to wave them in the air and kiss them because I’d won. Wasn’t that worth celebrating? It devastated me to be told to remain silent about something that had happened to me, the trauma of the aftermath, and my subsequent rise from the dirt that could have become my grave. I never asked for this condition, and so why am I being told to keep quiet about it? Mental illness is a piece of my life that I’ve fought so hard to fix. Someone in the world is suffering from the same mental health disorder you have. Think of the potential of that person reaching the end of his rope. He’s lost almost all hope. But randomly one night, he finds himself online searching for “how to overcome depression” or “stop anxious thoughts” or whatever he types into the search bar and the next thing he knows he’s reading your words. Or listening to your music. 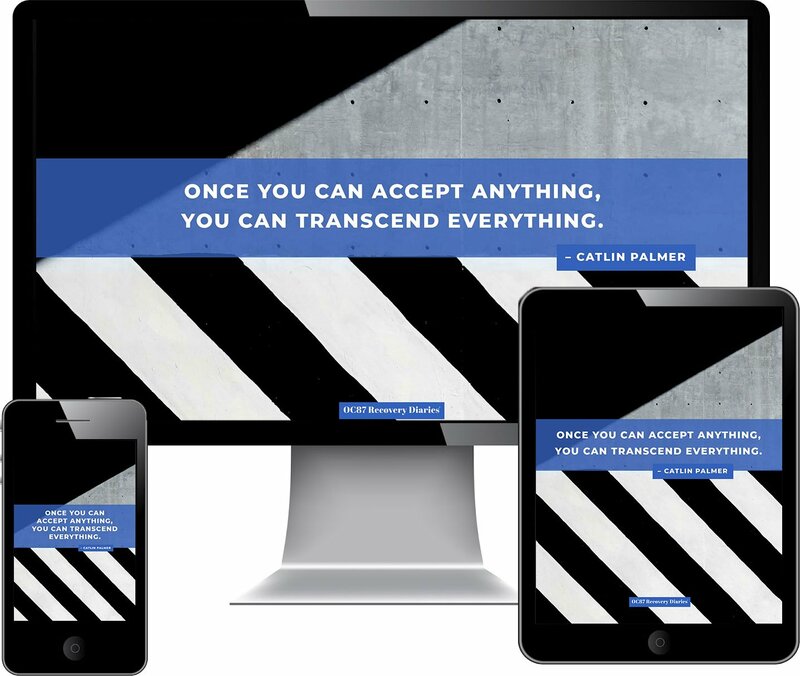 Or appreciating your tumblr page for the quotes you’ve collected that keep you going. He found hope. Your hope. It gives him strength. He keeps going. Keeps on fighting. All because you decided to share your story. You made a difference. Photo courtesy of Julie Fischer McCarter at Shoot Photo Inc. I know this can happen because it’s happened to me more times than I can count. 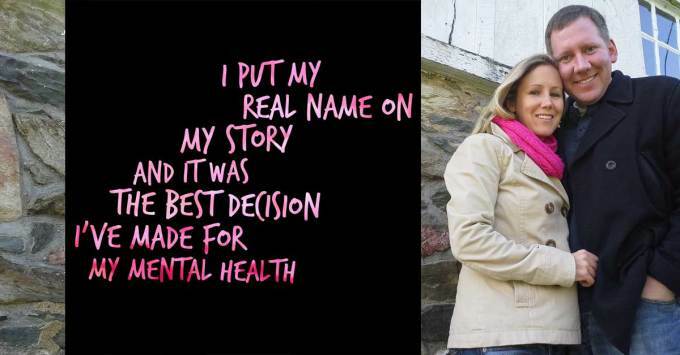 I put my real name on my story in April of 2013 and it was the best decision I’ve made for my mental health. Living a life with an ever-present fear of not being able to reveal a certain part of yourself isn’t truly living. Once I was able to accept my illness for what it is — treatable and manageable — I was able to open up completely, shedding the shame and embarrassment so that I could speak out as an advocate. Listen, I know not everyone is wired like I am. Not everyone wants to call attention to their illness and make it their career, as I have. But at least take advantage of the opportunity when it comes up. How much easier would it be for friends and family to help us cope with our condition if they knew our triggers? Why not tell them how they can best support you in your recovery journey? I want you to know that I get what it feels like to be scared to talk about having mental illness. Being vulnerable and opening up about our biggest struggles in life is never a walk in the park. But you know what? Every time I’ve opened up to someone in my life about my past, and about the fact that I have to manage my illness each and every day, I’m brought closer to that person just by sharing this invisible thing about myself. By telling them what I hold closest to my heart, I’m telling them I trust them with a fragile piece of me. No one has used it against me. Jenn and her kids, photo by Julie Fischer McCarter at Shoot Photo Inc. 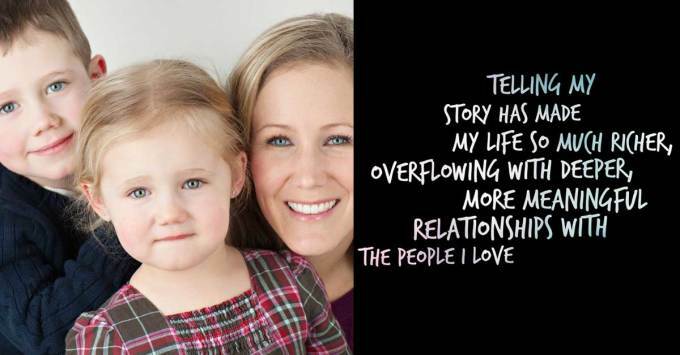 Instead, the act of telling my story has made my life so much richer, overflowing with deeper, more meaningful relationships with the people I love. 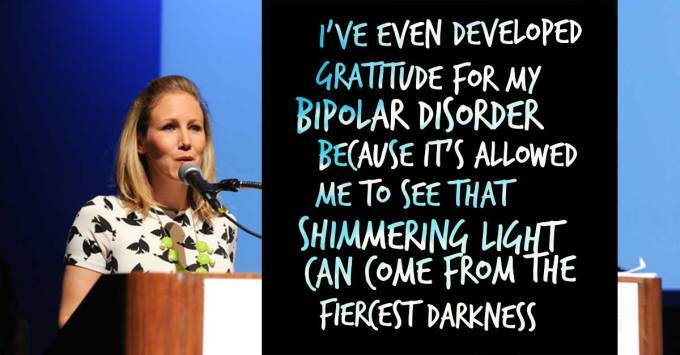 I’ve even developed gratitude for my bipolar disorder. Why? Because it’s allowed me to see that shimmering light can come from the fiercest darkness. That a person’s lowest point isn’t the end of their story, in fact, it’s usually the beginning. Because of mental illness I’ve grown more empathetic to the battles people face. It’s made me a better, more active and engaged listener. It’s made me a better person. We’re in this together. And when we combine our voices and speak out because we have nothing to hide, we cultivate a powerful sense of community. A community that broadcasts it’s okay to reach out for help. Life is too short not to take a brave stand against stigma, don’t you think? 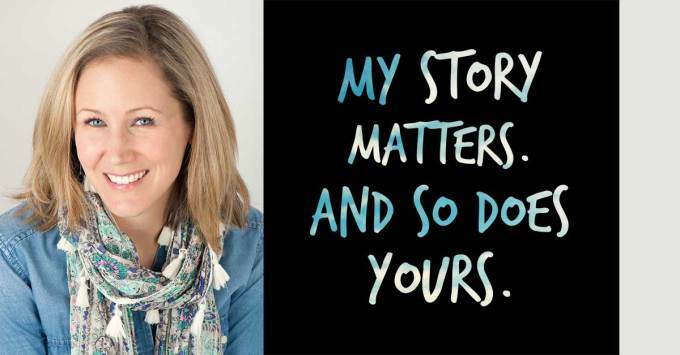 Since opening up, I’ve received hundreds of emails and messages from grateful readers and their words have become like fuel to me, igniting my passion for sharing my recovery story to help people know they are not alone. The same could be true for you. I know it. I know you can find your voice. 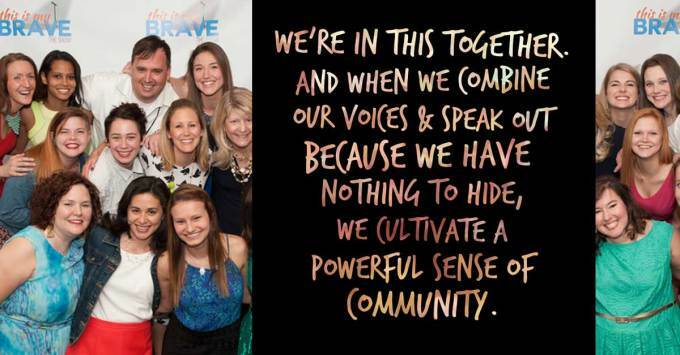 Last year I launched a non-profit called This Is My Brave to inspire those affected by mental illness to speak out in a theater performance, telling their stories through essays, poetry and original music. The show was a brilliant success, thanks to the courageous individuals who gave of their time and talents to participate. Ironically, the discrimination my mom feared I’d be submitting myself to by revealing my identity never happened. Those moms instead wrapped their arms around me in support as I had hoped they would. And my parents have since changed their tune about disclosure. After seeing how healing it’s been for me, how could they not? I urge you to peel the weight off your shoulders. You don’t need to keep carrying around the secret of living with a mental illness. Why not try what it feels like to walk through life unburdened, unashamed, unafraid? There are people out there who could be saved by reading your words, by being privileged enough to know your story. I hope you decide to share.